The suburban district of Sketty is located about 2 miles to the west of Swansea City Centre. Sketty is within walking distance of Swansea University, Singleton Hospital, Wales's Olympic pool, Olchfa School, Gower College and Swansea bay. In addition we are surrounded by many local amenities, independent coffee shops, local pubs and bars, award winning restaurants and Singleton Park which plays host to various events/concerts including BBC Proms. Alison heads up our Sketty Branch and has done for over 20 years and continues to be a very strong market leader, due to the very high standards she sets for her and her team. Her knowledge and experience within her field is unrivalled. Helen has worked both in Sketty and Killay branches over the past 12 years and has a wealth of knowledge and experience. Helen concentrates her time on ensuring a smooth property transaction for both our seller and buyer. It is paramount we make the experience as exciting and enjoyable as possible, when buying a new home. Sian started her career in estate agency just over a year ago, having been previously in the banking industry. Sian's friendly and yet very professional approach with the emphasis on excellent customer service has seen her adapt so quickly to her role. Natalie joined the Sketty Branch some 5 years ago and is a strong member of the team. Natalie is also an active member of Dawsons ‘marketing team’ for her innovative and creative ideas. 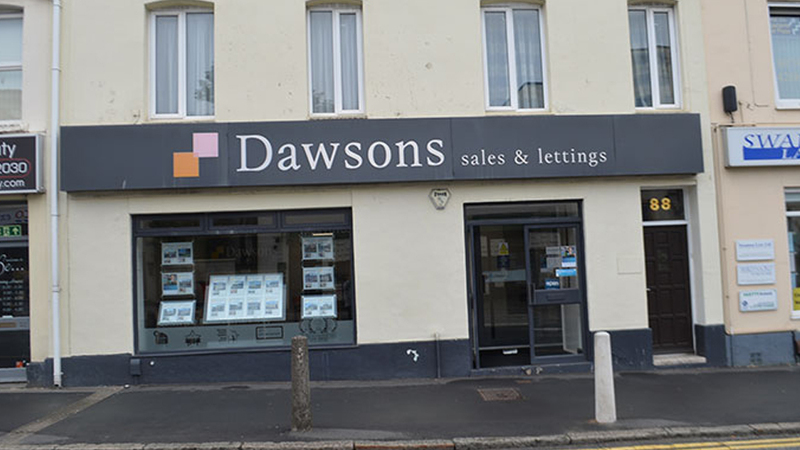 Nicola began her employment with Dawsons in April 2018 joining our Llanelli team as our letting’s negotiator. Nicola brings with her a wealth of experience in the trade along with excellent customer service skills, having joined the army at the age of 17 and serving just under 5 years, and then joining the estate agent industry just under 20 years ago. Whilst not in work Nicola enjoys going for long walks with her dog, come rain or shine. As with all our branch administrators, Christine is the ‘back bone’ of the office, ensuring the effective, efficient smooth running of the branch in all administration areas. Christine has been with the Sketty branch for the past 10 years. Helen joined the Saturday sales team late 2017 and her local knowledge with enthusiasm and a professional approach to ensure sellers and buyers benefit from the best in customer service.